What is your school or youth organisation doing about gang crime awareness and intervention? 2020 Dreams Gang Awareness training can help you to answer that question to the satisfaction of parents, students, OFSTED and the wider community. If you want to benefit from the content and structure of 2020 Dreams workshops while saving costs and maximising staff and pupil engagement, our Gang Awareness Inset days are designed for you. This specialist training, based around our hard-hitting Hard2Engage programme, will enable you and your colleagues to deliver high quality gang awareness education in a consistent manner. If everyone is on the same page, your school gang intervention programmes will be more likely to succeed and be taken seriously by students, parents and stakeholders. Our popular workshops use evidence-based strategies for engaging with young people. Our training and consultancy packages will pass on these techniques, which include role plays and open forum debate, to help everyone from LSAs to the senior leadership team to run and design effective lessons and workshops. Following the training your staff will be able to help young people to discuss their opinions and experiences without them feeling judged, embarrassed or disrespected. These powerful concepts and techniques can also be adapted for use in other topic areas, increasing cost efficiency yet further. Just as importantly, we will cover all associated areas of workshop design and delivery including compliance, health and safety and safeguarding. We can tailor your training or consultancy to the needs of your school including tackling those sensitive areas that are difficult to talk about. Is your Parent Teacher Association looking for a responsible and effective way to maximise the benefit of funds? 2020 Dreams also offer training sessions for PTA organisations. We can cater for both individual school PTA groups and regional or national PTA networks. One of the biggest benefits of PTA-level training is the ability to gather parents, teaching professionals and other stakeholders into one room. The lessons learned can then be taught in the classrooms and community while being reinforced in the home. A gang relies on violence and crime to survive. Therefore, if just one student can be convinced to make the decision to resist gang membership or leave a gang, that will benefit both the risks to that young child and the health of the wider community through reduced gang crime and violence. 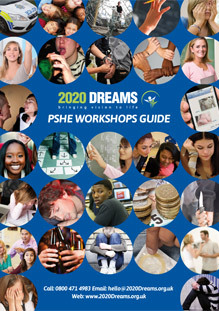 Every school or institution booking 2020 Dreams gang awareness training or consultancy will benefit from our ‘Getting to Grips with Gangs,’ an in-depth eBook focusing on both raising awareness about gang crime and culture, especially in the UK, and developing multi-agency strategies for tackling the problem. ‘Getting to Grips with Gangs‘ draws on a combination of established and recent research, case studies and statistics to provide an up-to-date, ‘street level’ perspective on gangs and gang crime. It also contains plenty of discussion points and activities which can be used in classroom activities. 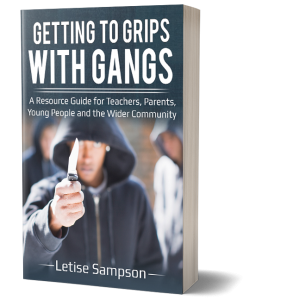 ‘Getting to Grips with Gangs’ is also a useful resource in combination with 2020 Dreams Inset and PTA gang training packages. ‘Getting to Grips with Gangs’ is available for £17.99. The tragic events in London at the start of 2018 cannot be allowed to become the new norm. To make a booking or to find out more about 2020 Dreams gang awareness training and consultancy, please either send us an email to hello@2020dreams.org.uk or call us on 0800 4714983. If you’re looking for Gang Prevention Awareness workshops for young people in schools, community or charity organisations please visit our gang workshop page for more info.